When you ask for the ACT WorkKeys National Career Readiness Certificate (ACT WorkKeys NCRC), you'll find only the most skilled employees. And the ACT WorkKeys assessments measure "real world" skills that are critical to job success. Have a job applicant you would like to take the ACT WorkKeys Assessment? 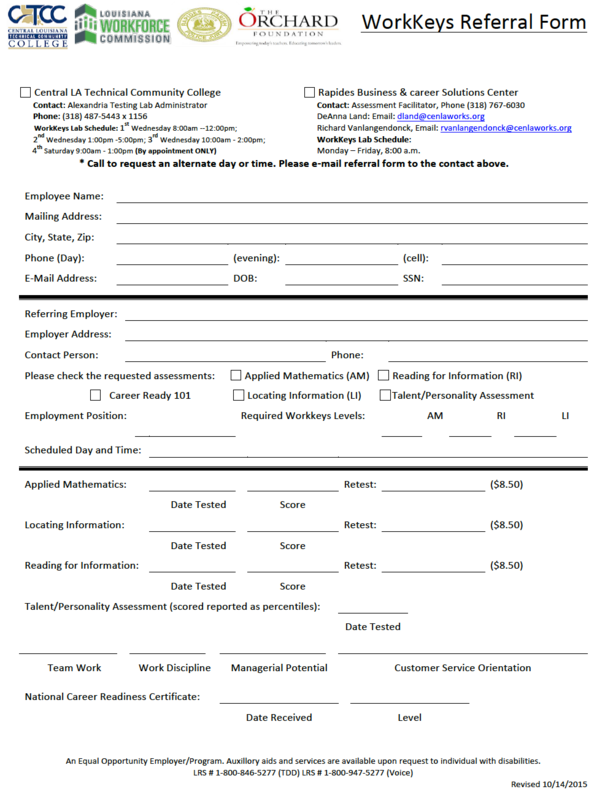 Use this form to schedule an applicant at a local WorkKeys Testing center. 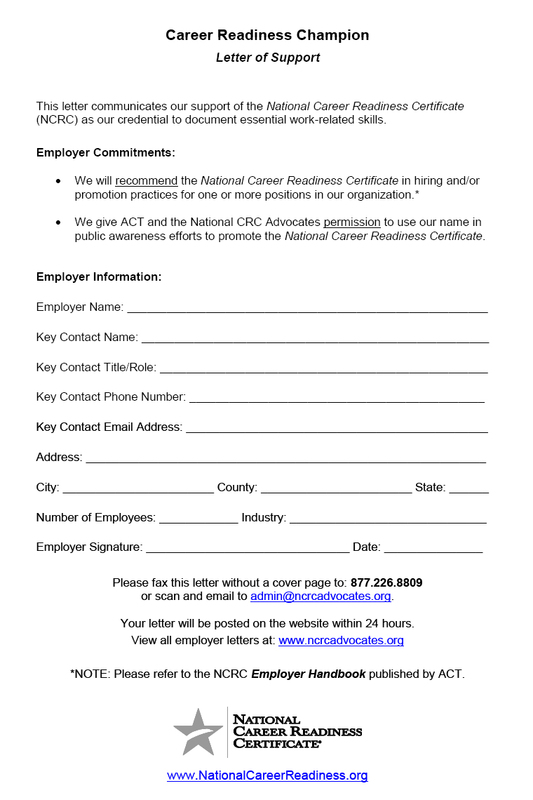 Let potential employees know you are a WorkKeys employer or ACT WorkKeys National Career Readiness Certificate Advocate. Use these logos in your classified ads. This database will show you the core work-ready skills that potential employees need to be successful in a position. Need help in navigating the Job Skills Database? Complete this form and someone will contact you soon. We Need Your Help! Do your part to make Central Louisiana a Work-Ready region. Become a Career Readiness Champion by completing this form. This 21-minute video will allow you to discover first hand from employers in Illinois the power of using ACT WorkKeys and the ACT WorkKeys National Career Readiness Certificate. 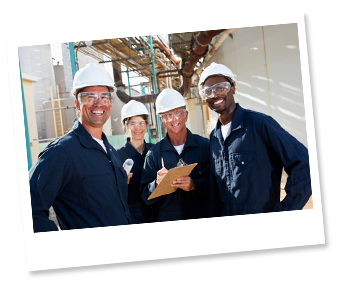 higher-quality workforce utilizing tools from the Cenla Work Ready Network. Need Help Finding Qualified Employees? Let us promote your position to the 33,805+ NCRC holders in Central Louisiana. 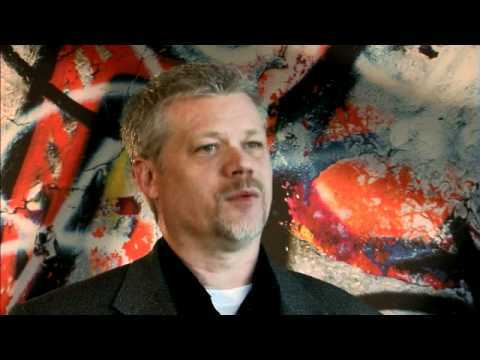 Copyright © 2012 The Orchard Foundation. All rights reserved.